After a recent upgrade to our platform, we pleased to present a far easier way of uploading images to your website. 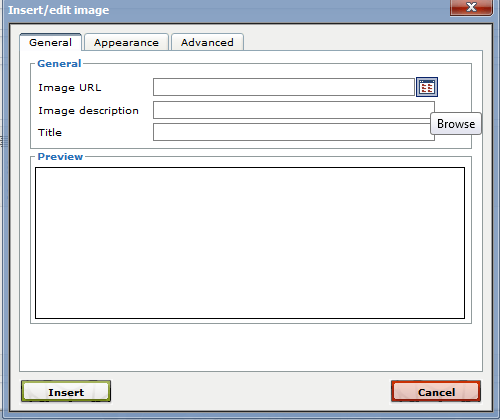 Select the image upload button. From this screen you can then type in the URL of an existing image online or click the browse icon to upload an image from your PC. You can then also add a description or title to the image. If you want to adjust the size of this image then simply select the appearance tab. We have already added a selection of images for you that you can use and we will continue to add to this gallery automatically over time! All images are licensed as free usage so you can download them and use them wherever you should wish. However should you want to upload your own images from your computer, then simply select the upload button. 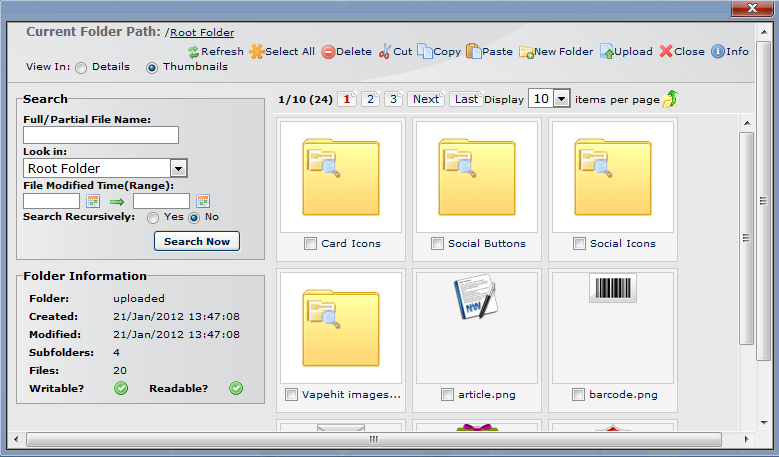 Once you have done this, select browse and then a window will popup displaying your folders and files. 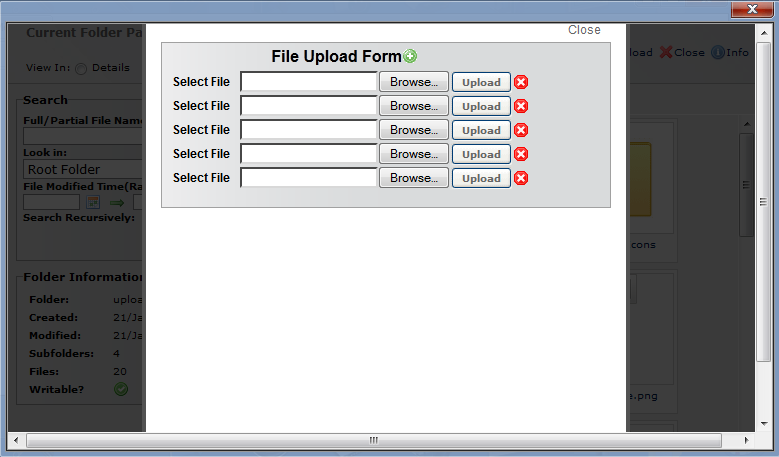 You can select multiple images by pressing the + green icon next to the text File Upload Form.